An informed, accessible textbook on law collections in the Pentateuch. In this book William Morrow surveys four major law collections in Exodus-Deuteronomy and shows how they each enabled the people of Israel to create and sustain a community of faith. Treating biblical law as dynamic systems of thought facilitating ancient Israel's efforts at self-definition, Morrow describes four different social contexts that gave rise to biblical law: (1) Israel at the holy mountain (the Ten Commandments); (2) Israel in the village assembly (Exodus 20:22-23:19); (3) Israel in the courts of the Lord (priestly and holiness rules in Exodus, Leviticus, and Numbers); and (4) Israel in the city (Deuteronomy). 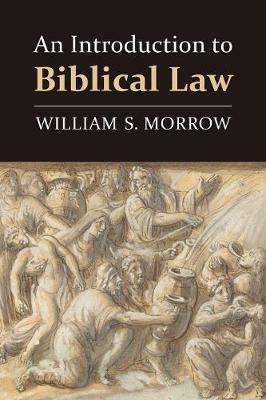 Including forthright discussion of such controversial subjects as slavery, revenge, gender inequality, religious intolerance, and contradictions between bodies of biblical law, Morrow's study will help students and other serious readers make sense out of texts in the Pentateuch that are often seen as obscure.